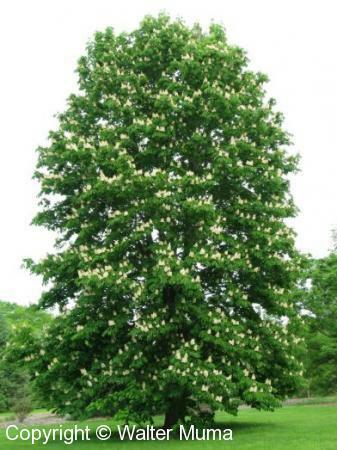 Distinctive features: Tree; Large palmately compound leaves. 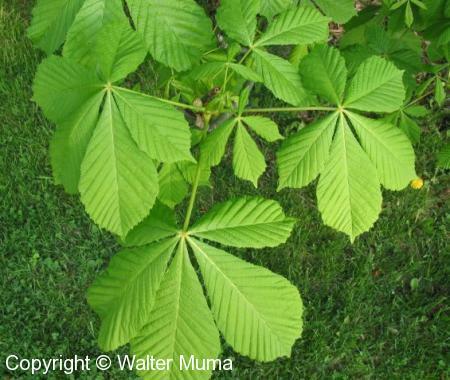  Ohio Buckeye (Aesculus glabra) - similar leaves: opposite and compound. Leaves: Opposite/Whorled, Compound, Entire; Opposite, palmately compound, large. Habitat: Fields and Open Areas; Where planted, usually in open areas. Status: Common in urban areas where planted. 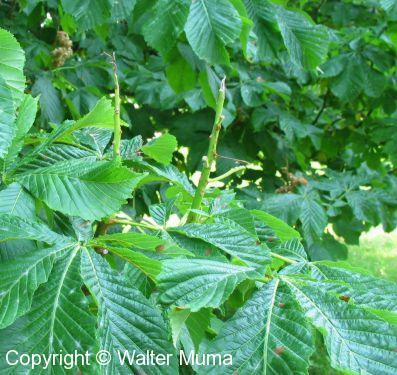 Notes: Horsechestnut is actually a non-native tree. However, it is not invasive, and squirrels love the nuts. But they are NOT edible by humans. Its leaves and branches are opposite. Photographs: 99 photographs available, of which 9 are featured on this page. SCROLL DOWN FOR PHOTOGRAPHS. 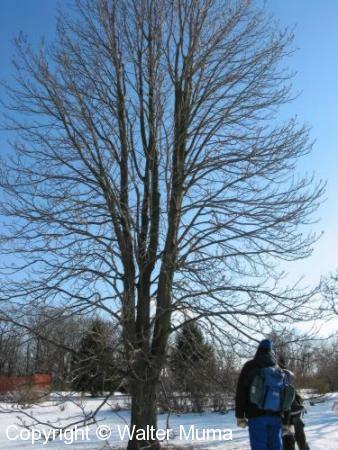 This photo shows the overall form of a mature tree. The tree in flower and leaf. 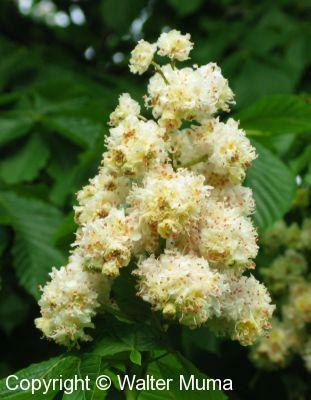 Horsechestnut has big sticky buds, arranged opposite each other along the stem. 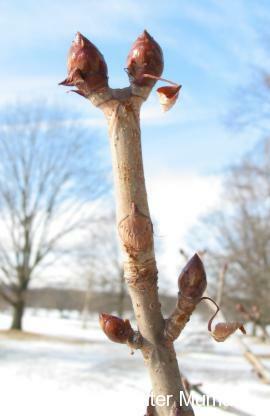 Another picture of the twig and buds. 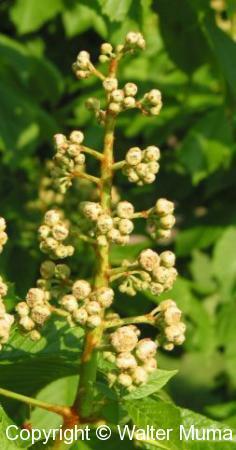 A flower cluster in bud. A flower cluster fully opened. Flower stalks after the flowers have fallen off. Leaves, showing the "palmately compound" form. 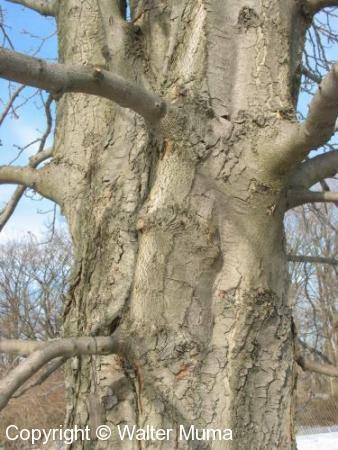 Bark and trunk of a mature tree.